Elizabeth Woodville was the consort of King Edward IV. 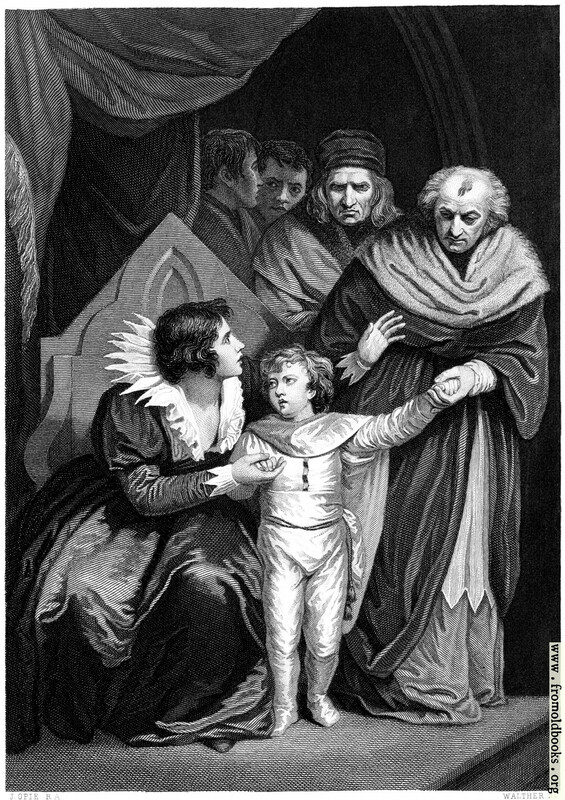 and the mother of Edward V., King of England for only two months, at the age of thirteen, in 1483, before being locked up in the Tower of London and later, probably, murdered, along with his ten-year-old brother, Richard. The print is signed J. Opie, R. A., the original artist, and the engraving was done by Walther; it was printed in London by J. Hagger.